By law, airlines must have flight attendants on board all aircrafts. The reason is for the safety and security of the passengers. This is probably why there are over 100,000 flight attendants employed by airlines, with an additional 8,000 positions opening up yearly due to the aging of the workforce. People in their late teens, all the way through to their 60’s can train to work as an airline flight attendant. Find out how to fly without wings by becoming a flight attendant. My how things have changed since the dawn of the stewardess, now known as flight attendants. Originally, stewardesses were really called stewards or couriers. They were the teenage sons of the wealthy men who were financing the airlines. Once the stock market crashed in the 20’s, the couriers were no long affordable, and the co-pilot became the courier. Beginning in the 1930’s, only women were allowed to be flight attendants but this changed in the 1970’s and 80’s. Originally there were strict Barbie doll guidelines as to the physical traits of a stewardess, along with well-polished heels donned at all times. Plus, the women had to be single, and retire from their position by the ripe old age of 32. These stringent policies evolved and relaxed a bit over time. And, they even let men back into the fold of flight attending. The first-ever stewardess was a nurse named Ellen Church. Due to her, the original flight attendant guidelines were put into effect, with the primary requirement mandating being a registered nurse. However, once World War II hit, most nurses were off helping the war efforts, so that nurse rule had to be lifted to allow other women to step in..
Across all airline brands, passengers can expect flight attendants to behave similarly. They all go through comparable training programs. Prior to takeoff, it is the flight attendant’s duty to explain emergency protocol to the less than enthusiastically listening traveler. Flight attendants assist the customers in many ways, such as storing baggage in overhead compartments, serving the increasingly expensive beverages and snacks, and do cabin walkabouts to ensure their human cargo is thoroughly enjoying their in-flight creature comforts. To be considered a flight attendant by the FAA, you have to work on an aircraft with more than 20 seats. Most importantly, guide passengers to safety in the event of an emergency. Communicative: As a flight attendant, you’re dealing with a huge variety of people, and it’s important to know how to listen to, and speak with, just about everyone. Attentive: There’s a lot that goes on inside a plane. Flight attendants know to be alert and have knowledge regarding the happenings from inside that metal tube. Decision maker: In the case of an emergency, you, the flight attendant, need to make snap decisions. There is an entire plane filled with people counting on your excellent decision-making skills. Stamina: You’re on your feet walking up and down that narrow aisle. All day. Yeah, you need strength. And a couple of those mini bottles of wine. Adaptable: It’s possible that you might get a call 60 minutes before you need to set foot on the plane. Or, you might be required to shove 45 minutes worth of work into an available ten minutes. You need to have the type of personality that can roll with it. Culturally clued in: Planes are a major form of transportation for every nationality, creed, color, race, religion, sexuality and more. Respect of the human race is required, haters need not apply. The first step in becoming a flight attendant is the interview. It is extremely high level yet similar to any other job interview. The only difference is, once you’ve aced the interview and get hired, you pass go and head directly to training. You don’t want to stand out during the interview. Well, at least not with pink hair, a tattoo sleeve, and multiple face piercings. Think about the flight attendants you’ve met while flying; they’re a pretty conservative looking group of men and women. Dress the part, what you do on your off time is your business. Be the brand. A lot of flight attending is based on appearance. You don’t necessarily have to be the best looking, but a great smile goes a long way. Typical questions asked during an interview will be personal, behavioral, and situational. To prepare for your interview, be sure to look over your resume, and research the airline company you’re interviewing with so you can best answer the many questions you’ll be asked. Any flight assistant education you receive must be certified by the Federal Aviation Administration (FAA). Many airlines prefer candidates with college degrees in hospitality and tourism, communications, business, social sciences, or public relations. Before working as a flight attendant, most applicants have had at least one to two years work experience in a service industry such as a restaurant, hotel, or resort. Sales experience is also helpful to candidates applying as a flight attendant. Once hired, there is usually three to six weeks of training through the airline’s flight training center. The flight training is required for a Federal Aviation Administration certificate. The training center is where new recruits learn core competencies such as administering first aid, evacuating an aircraft, and using the emergency equipment. After the process is learned, the students get to go on practice flights. The full training must be completed to work as a flight attendant. Once the training is over, the fledgling flight attendant receives a FAA Certificate of Demonstrated Proficiency. There is a ‘chain of command’ in flight attendant hierarchy. The longer you’re a flight attendant, the closer to the top of the totem pole you get. Reserve Flight Attendant: This is the very entry level position. You are an on-call girl or guy, having to be ready within two to four hours of that phone calling letting you know you’re needed on a plane. Senior Flight Attendant: You’re still a flight attendant except you’re now in charge of other flight attendants. Check Flight Attendant: You’ll observe flights to make sure they are compliant with the FAA, as well as making sure that the flight attendants under you are fulfilling their position requirements. Flight Attendant Supervisor: You have a group of flight attendants from your base that you supervise and make sure they are up to par. 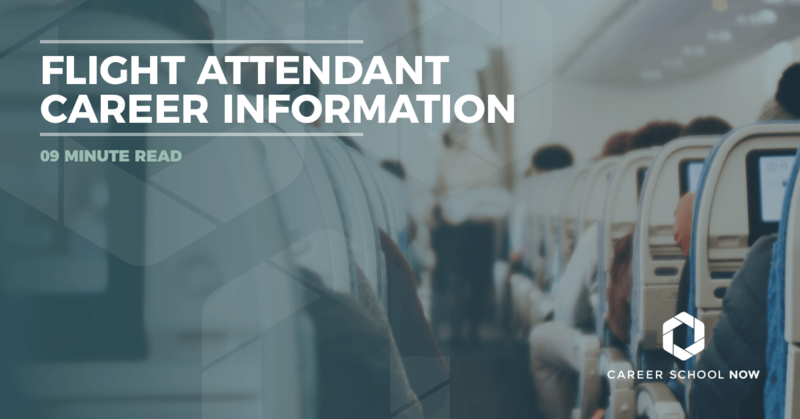 You’ll be the one evaluating the flight attendants’ performances, and checking in with the base manager and inflight manager on a regular basis. Base Manager: Now you’re in a managerial-type position and accountable for all the flight attendants of various rankings that are from your base. Inflight Manager (aka Vice President): As the inflight manager, you’re at the top of your game. This is literally the highest rung on the ladder, and you’re it! Every single body in your base is under your charge. Flight Attendant Recruiter: You’ll screen and interview candidates, and help make hiring decisions. Flight Attendant Instructor: You get to put your years of knowledge to good use, by training tomorrow’s flight attendants. Risk Management: You’ll assess the risks airlines may be exposed to, and communicate them, along with some strategies to combat the issues. Being a flight attendant may seem like a glamorous job but, the fact is, there’s a lot of hard work involved. You just have to make it look effortlessly pulled together with your perfectly coiffed hair, unchipped polished nails, and calm, collected attitude. The cost of training to flawlessly perform the duties associated with a flight attendant can run anywhere from free to a few thousand dollars. Some airlines provide the training once the arduous interview process is complete and an offer to hire is made. There are a lot of flight attendant schools out there so it’s important to do some research and choose the best fit for you. There are also basic flight attendant training programs that will help spruce up your resume. And, if flying on a smaller plane is more your speed, then training with a corporate or private company may be a better fit for you. The cost varies but make sure that the program is approved by the FAA or your training will be for naught, aka, completely useless. The Bureau of Labor Statistics reports that the median annual salary of flight attendants is $50K. Entry level wing earners reportedly earn an average of $26,860. And, seasoned flight attendants make a yearly income of $79K. Flight attendants usually work 75-100 hours per month and most spend 50 more hours on the ground, preparing for trips by doing paperwork, and just waiting. They only get paid per hour in the sky, wheels up to wheels down, though. Most flight attendants belong to a union within different branches of the Association of Flight Attendants or the Association of Professional Flight Attendants. Employment growth is expected to be faster than average through 2026, at 10 percent. There are usually more applicants than job openings when it comes to flight attendant positions, so having a college degree will give you a better shot at getting one of those scarce positions. Also, the more languages you know, the more of a preferred pick you’ll be.